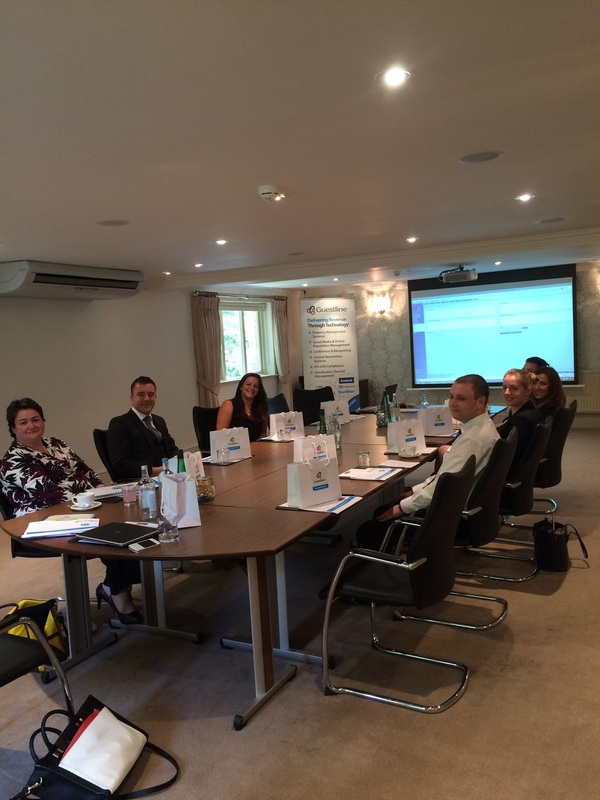 Corus Hotel Group recently enjoyed training from Guestline to get equipped with the latest functionality of Rezlynx and how they can benefit from the upgraded version (1.470 from 1.450). They held workshop days in both the Laura Ashley Manor Hotel in Elstree and The Old Golf Hotel in Huddersfield with Guestline's experienced training team. With product updates and upgrades regularly released by Guestline’s Development team, it is of great benefit for hotels to learn about the new features and functionality in greater detail so they are getting the most out of their technology investment. The new group features (how to override pricing and rates prior to pick up, ideal for conference block bookings) was a popular area along side meal plan reports. Guestline on-site training days are a popular choice across our portfolio of clients as hotels are able to tailor the training to their needs. To request further information or to enquire on available dates please email the team here or request a call back here.